Air rifles are a fun way to start your hunting careers, but if you want accuracy, you will need to consider adding a scope to your gear. The main issue with these products is that most products on the market offer a wide range of features and they all look pretty good at first glance. So how do you know which is the best air rifle scope? Well, there are a few pointers to follow and you need to know a thing or two about optics in the hunting niche. But don’t fret thinking your knowledge is scarce on this topic! 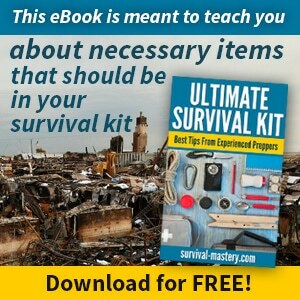 Below you will find these main features explained and reviews for some of the best products on the market. It is our hope that once you’ve read our guidelines and reviews, you will be able to make an informed decision on this matter. Also, please keep in mind that we address both beginners and experienced hunters looking for a high-quality scope for their air rifle. Let’s start by discussing the main features one should look for when selecting a high-quality scope. We will address only the most important ones, but there are many others, usually pertaining more to the personal choice. A scope can be fixed or variable and the main feature influenced by this is the magnification. With a fixed scope, the magnification will be a fixed number, while with a variable one, the magnification varies between two limits of a range. For instance, all the scopes we reviewed below are variable since they all allow you to change the magnification level. Since we touched the subject of magnification, you should know that a higher magnification will allow you to see further. So, if you plan to shoot at long distances, you will need at least a scope that supports 9x. 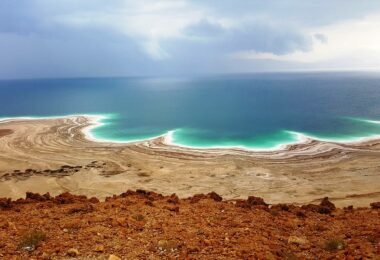 This feature is also known as an adjustable objective and allows the user to focus the image better. The feature is just a ring placed around the objective that minimizes the parallax effect. This effect appears when a fixed object gives the impression of movement when you move your head while looking through the scope. There is a direct correlation between the size of the objective and the amount of light allowed inside. Thus, the rule is as follows: the bigger the objective (or the aperture as it’s called sometimes) the brighter the objective. A large objective will catch every glimpse of light allowing you to use the scope very early in the morning or late in the evening, when the light is dim. A high-quality scope shouldn’t be heavy. There are some that will make your gun feel a little heavier but most are light and easy to mount. The length is usually according to the type of gun the scope is designed for, but some scopes are universal (they fit both a pistol and a rifle). As a beginner, it is recommended to select a lightweight scope, with a length that fits your gun. These are the lines you see when you look through the scope and they help you increase your shooting accuracy. Now, crosshair’s style varies from manufacturer to manufacturer, which is what makes the choice more difficult. It is a matter of personal style if you want. For instance, if you plan on shooting on fixed target, you should choose a scope with fine crosshairs; one with thin lines might get lost in the background. The final main feature we’re going to discuss is durability. This is measured by checking the type of materials used to build the scope. Most are designed using an aircraft-grade aluminum alloy which is light and durable but other materials may be included. You should also make sure the scope is shockproof, especially if you plan on using it on high-power air rifles. A great scope will also be fogproof and waterproof so you can use it under any weather conditions. 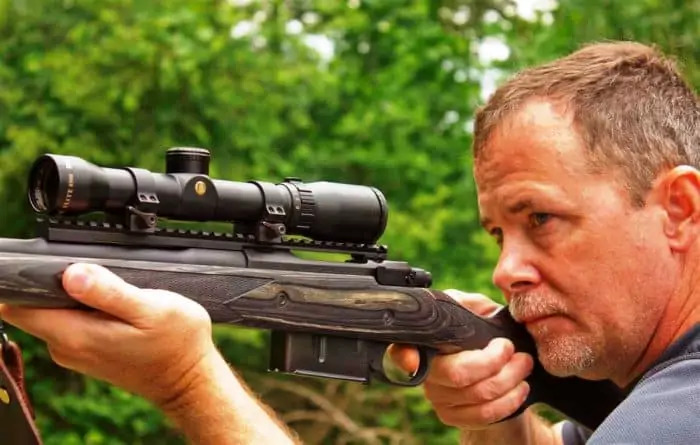 Hoping we helped unravel the main mysteries of choosing a high-quality scope for an air rifle, let’s take a look at some of the best products you can find on the market, today. Below we listed some of the best scopes you can find on the market right now. We checked their features and reviewed their pros and cons so you can make an informed decision. 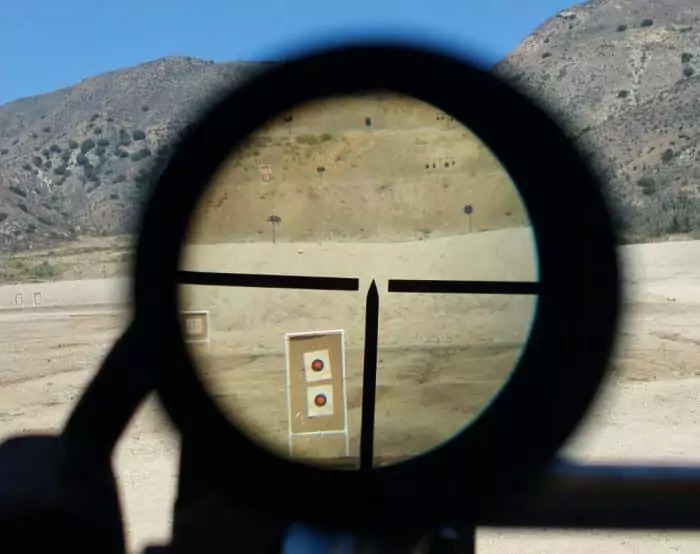 Also make sure you read our piece on how to sight in a rifle scope to help you in your aim. Rail mount: Comes with One-Piece Mount but also fits onto 3/8″ & 11 mm dovetail rail or groove on top of the receiver. Specific features: Large 40 mm adjustable objective, delivered with one-piece mount with stop pin. Focus as close as 5yards down the range. Mil-Dot reticle. Fingertip windage/elevation adjustments. 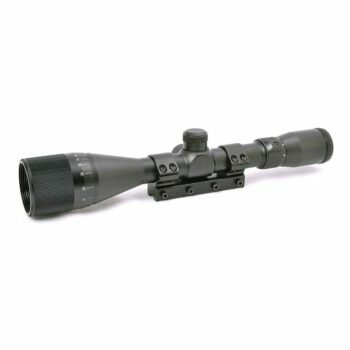 The Hammers 3-9x40AO Scope is quite an interesting addition to any hunter’s collection! The scope comes with a sleek, nice design and a solid built that shows high-quality. Also, the large, adjustable 40mm objective is extremely useful in catching every glimpse of light. The standard 1-inch tube can be easily mounted on most air guns using the one-piece mount that comes with the scope. To help with your aim, the scope is equipped with Mil-dot reticle and the adjustments for windage and elevation can be done using your fingertips. It is also very durable due to its clever interior design that allows it to withstand even high-power, piston type rifles. Speaking of high-power airguns and the shock they provide, the one-piece mount is delivered with removable stop pins to help the scope maintain its position even under such a beating. Besides being solid, it is also easy to mount and set. Even more, it is accurate and all the adjustment settings are according to the reality. In conclusion, if you want a great scope on a budget, this should be on your list of choices. Specific features: Reflex reticle, extremely good light transmission and extreme clarity, 100% water and fog-proof, red and green illumination type. If you’re looking for an affordable scope for your air rifle, the Pinty 3-9X56 EG Magnifier is one of the best choices to make. 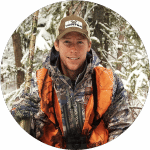 It is equipped with superior features that place the product on the top of many experienced hunters’ preferences and has a sturdy, yet lightweight, build. This is due to the aerospace aluminum alloy used as material, which is both durable and versatile. Among the premium features, we have to mention the unsurpassed light transmission and the amazing clarity it offers (this is mainly due to the 56mm aperture). The scope is designed to give you a perfect view of the field or target, regardless of the magnification you’re using. This means that objects won’t become unclear or foggy as you increase magnification. The green and red illumination feature allow hunters to use this scope in any type of environment and the reticles are great for finding aiming points regardless of shot distance or magnification used. Also, to make sure you won’t have troubles using this scope in bad weather Pinty used nitrogen filling and O-ring sealing. This means the scope won’t be affected by water or sudden atmospheric changes. While it is a great scope to have, especially considering the price, you should keep in mind that it can’t be mounted on every type of rifle. 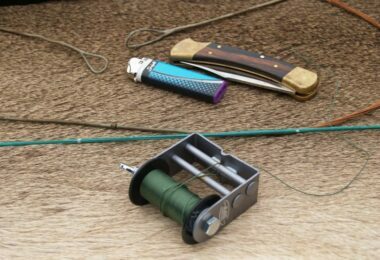 For some rifle models you will need to purchase separate rings so make sure you check with the vendor or the producer before making the purchase. Field of View: 34.5 ft. to 11.5 ft.
One interesting feature that proves this scope’s versatility is the fact that it can be used on any type of gun, not just air rifles. 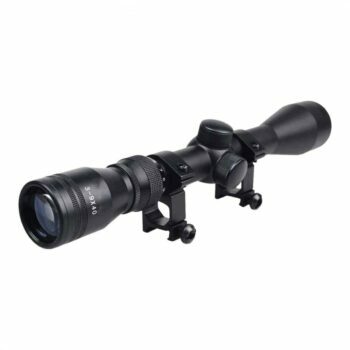 Completely protected from the elements and designed with high-quality in mind, the UTG 3-9X40 1″ Hunter Scope comes with many advanced features at a very affordable price. Still, if you’re looking for something to just snap on your gun and start shooting, this may not be the best choice. This scope is highly tunable and requires a bit of patience to get everything right. But let’s talk a bit about the features that make it so popular among hunters. Firs, the objective can be adjusted to your needs due to the Premium Zero Locking and Zero Resetting Target Turrets. Also, the Mil-dot range reticle has bright color options and is placed somewhere in the second plane in order to stay full regardless of the magnification used. This feature allows it to stay very clear which is nice at any shot distance. The multi-color mode and Illumination Enhancing features allow hunters to see clearly even in dim light and the flip-open cover lens are quite handy since you won’t have something dangling along your face at all times. 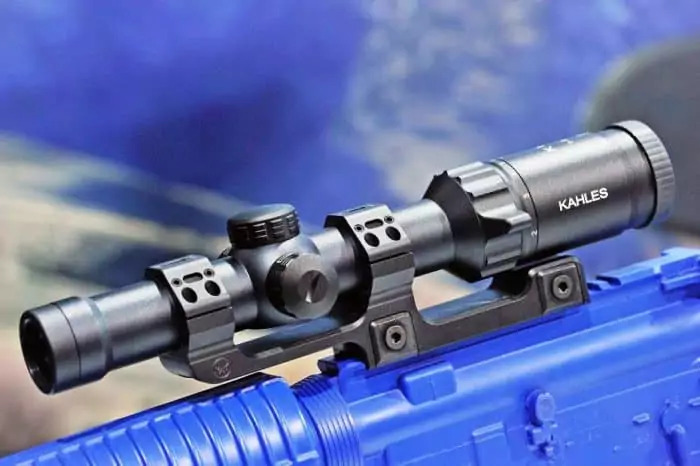 The scope is delivered with rings for almost any type of mount and it is extremely durable when it comes to shock resistance. A professional scope is always welcome, especially when you have the chance to take it at such an affordable price! With a solid build, a sleek design, and powerful features the Cvlife 3-9×40 R4 Rifle Scope is a great addition to your rifle. 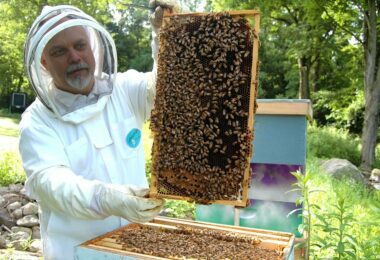 The scope is easy to mount and set and all the controls are easy to handle. The windage and elevation adjustment are easy to reach at any time and the magnification adjustment ring is smooth and easy to operate. Even more, the scope is delivered with free mounts so you can use it straight out of the box. To offer a clear and bright image, the CVLIFE Tactical R4 is equipped with a fully multicoated lens that offers a fantastic color contrast so you can easily identify your target. The lens is also covered with an anti-scratch coat to keep the scope working properly for as long as possible. 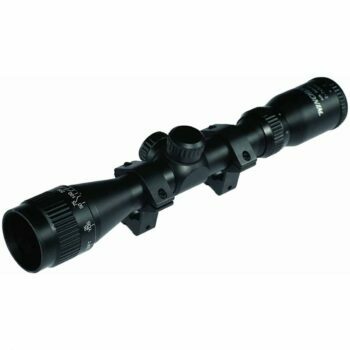 All in all, this air rifle scope is durable and specially designed to offer perfect accuracy for as long as possible. To support this, the product is shock-resistant, water and fogproof so you can use it in any weather. 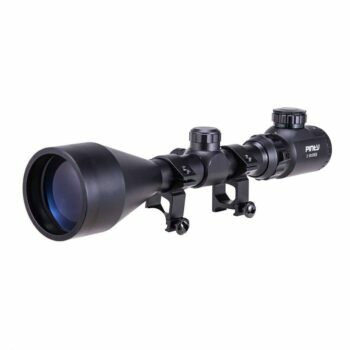 Related: If you’re looking for a scope that can be used on both air and regular rifles, CVLIFE recommends their Hunting Rifle Scope 6-24×50 AOE. It is differently built and can be used even in dim light situations due to the large lens (50 mm). Field of View: 39-13 ft. Specific features: Multicoated lenses, 32mm aperture, 1-inch tube, Dual illuminated Mil-Dot reticle, True Hunter windage and elevation dials, 100% waterproof, fogproof and shockproof. The Crosman CP392RG Centerpoint Riflescope works well with .22 or .22 Mag and comes with a wide range of features that make it one of the best products out there. First, we loved the accessories delivered with the scope (which is built in one piece). Thus, you’ll get 3 batteries, a lens cloth, two flip-up lens covers, and two Dove Tail mounts. The setting process is quite simple and the True Hunter dials are quite easy to use. Even more, the clear and bright reticle makes aiming and shooting a true pleasure. Equipped with Mil-dots, the scope allows you to judge distance easily without having to check it with the free eye. The multicoated lenses allow for optimum light transmission and the objective is resistant to the elements, which is great for those times when hunting and the weather don’t agree with each other. It is also easy to grip and set and the flip-up cover lens help with ease-of-use. Related: As a beginner you will need to practice your aim with a new scope. So, you should consider the Crosman 750 Destroyer Pellets kit. Also, it is recommended to have a special place for target practice and the Crosman Spinning Target may come in handy. This scope was specially designed to withstand the powerful reverse recoil developed by air guns. It is shockproof and extremely accurate due to the adjustable 40mm objective which allows you to correct the multi-range parallax error. 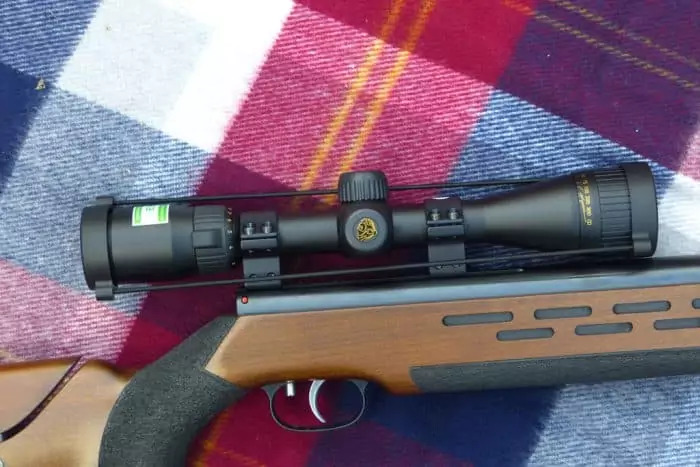 The Barska 3-12×40 AO Airgun Scope is also a bit more powerful, magnification wise, than the other products we discussed and it offers extreme clarity even at 12x. The scope is also designed to resist the elements and it won’t fog on you in sudden temperature changes. We also loved the fully coated lens which improves the level of clarity and the ranging Mil-dot reticle. All in all, this scope is quite impressive for the money you pay and BARSKA even backs up their product with lifetime warranty. Actually, the only thing that’s missing is the option for sunshades. Otherwise the product would be perfect. 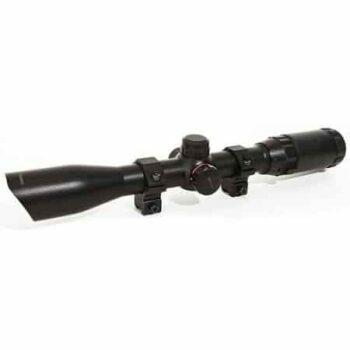 Specific features: Adjustable Objective, Fog and Shock Proof, Cross-Hair Reticle, Color Corrected, Adjustable Objective, the package includes Dovetail Rings and Mounting Hardware. This 32mm lens from Winchester is equipped with an adjustable objective and adjustable controls for windage and elevation. It is shockproof, but you must be careful when using it on powerful air guns, like a springer, as the provided mounts won’t hold as well as you’d expect. 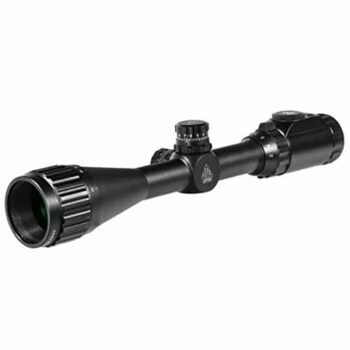 The Winchester 2-7 x 32 AO Scope is lightweight and the black finish makes it a good fit for any air rifle. Also, the build is solid and offers a god grip even in bad weather. The color correction feature is absolutely amazing and the crisp reticles help in improving your aim. Even more, the lens is clear and the scope maintains the same level of clarity from 2x to 7x magnification. To make it fit for any type of hunter, the Winchester scope is equipped with adjustable rear eyesight which, together with the adjustable objective, make for a great scope. We also loved the fact that it is delivered with its own mounting hardware. This saves you an extra expense and the time you would spend looking for mounts that fit. Still, you should be careful as many users reported the mount is not the best quality they could wish for. We’ve finally reached the end of our list of best scopes and we hope that you are now able to understand the basic features that matter when looking for such a product. 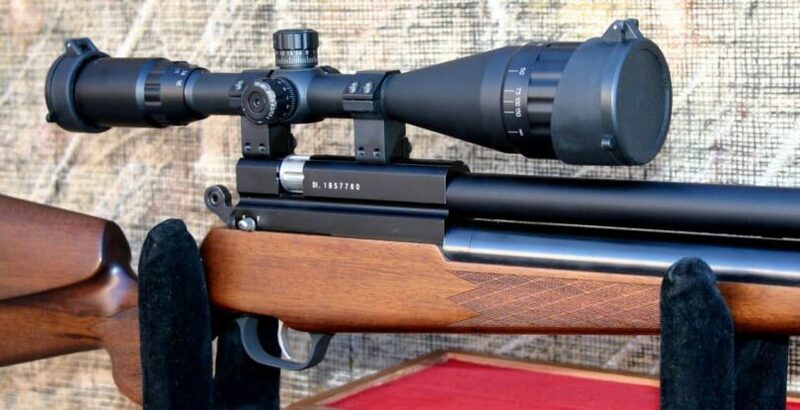 You should also know that, regardless of your experience with hunting using an air rifle, a high-quality scope is a nice addition to your gear. It will always stand by your side helping you improve your shooting accuracy. However, an ineffective scope or one chosen without thought will be a burden on your rifle. So, if you love hunting or shooting in general, make sure you take our advice into consideration. Do you have any great hunting stories involving one of the scopes we discussed today? If yes, we’re looking forward to reading them in our comments section! 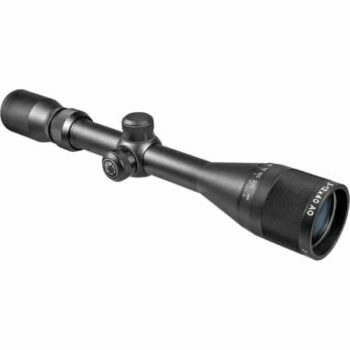 Before heading out to hunt, see our reviews of the top rifle scopes to give you more options.